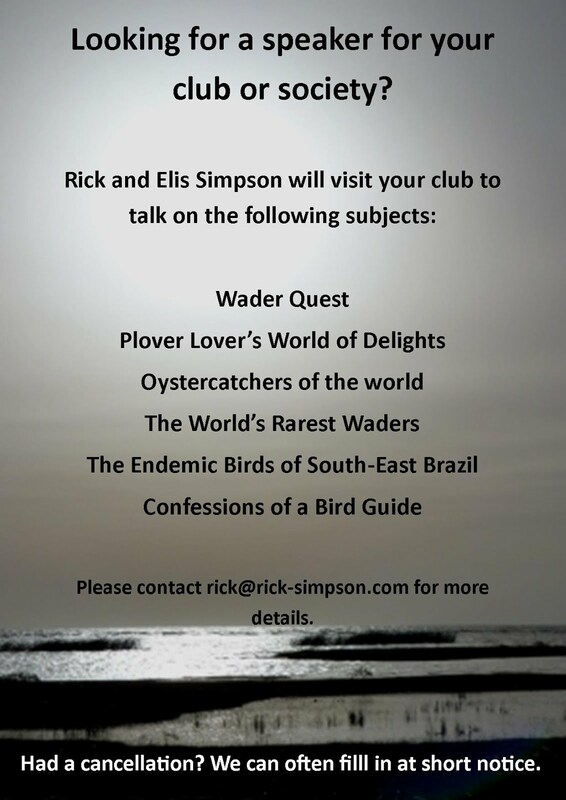 Rick Simpson Birding: Volunteers beware! If you are a foreign national and coming to the UK to volunteer, please check to see if you need a special visa before coming, otherwise you will be treated like a criminal, slammed in a prison cell and deported on the next flight back to where you came from by the UK Border Agency, as happened to our dear friend Odette when she came to volunteer at the British Bird fair. I don’t normally write about things that don’t directly concern birds or wildlife, but this has made my blood boil! I am not a great fan of uncontrolled immigration; immigration yes, but uncontrolled no, indeed I have lived as an immigrant for some years myself. I believe that defending our borders from those that mean us harm is an unfortunate, yet essential, facet of modern life, but recently, ladies and gentlemen, you’ll be pleased to hear that the UK Border Agency has protected you from a 58 year old lady from Brazil who had come here to volunteer at the British Bird watching Fair. This lady is one of the sweetest, kindest people you would ever have the privilege to meet (if the authorities had let her into the country). Unfortunately she was unaware that she required a special visa to come to the UK to volunteer and at her exchange with the border control officer she excitedly told the guard what she was planning. Her feet did not touch the ground. Ironically if she had lied, she would be with us now; in fact she would be doing good work, for no pay, to help one of the UK’s biggest wildlife events to raise money for conservation, another of her passions. She was able to ring us and let us know what was happening and I rang the border control to vouch for her. She pleaded that she would no longer volunteer which would then mean the tourist visa would be complied with and I, for my part, said that I would be responsible for her; I was told an officer would call me back, he or she never did. I cannot believe that senior border staff do not have the power to be compassionate in circumstances like this, or do the words "computer says no!" apply here where compassion cannot be shown to good people resulting in them being treated like criminals with no distinction being made between them and those that really do mean us harm; in which case we really are a small minded Little Britain! Even if you accept that she had breached her visa conditions, it was not as if she was trying to come here to fleece the British Government coffers and abscond with them or deprive a British (European?) worker of a job, she was coming to volunteer for crying out loud, to work without pay for the good of others! In addition she was the least likely person on the planet to outstay her right to remain here if that was what they were concerned about, she has property, family, a job and is part way through a veterinary course in Brazil all of which she loves with a passion, including the country itself, she is fiercely proud to be Brazilian and has no wish to live anywhere else. Odette is a seriously scary serial volunteer! She arrived at about 13 hrs on Saturday from Brazil and was immediately detained in a small room, being interviewed for hour after hour, until 02 hrs when she was informed that she was being barred from entry to the UK and then bundled into a prison van with two people from Iraq and whisked off to a prison with razor wire on the top of the high walls. Scared now and without friends, she was taken through several doors and gates, all of which were slammed shut and locked behind her as she progressed deeper into the prison. A last she reached a reception area where she was once more interviewed and underwent a medical examination. It was, she said, a nightmare that she never wants to go through again. The next day she had the humiliation of being escorted through the airport and frog-marched, flanked by two policemen, to the door of the aircraft. There the police handed her passport to the flight attendants and instructed them to hand Odette, and her passport, over to the Federal Police upon arrival in Brazil. We should all be grateful to the authorities for saving our skins from this real and present danger in the form of a generous, gentle lady who came to volunteer us to death! She later wrote that happily she was back in her beloved Brazil. She doesn’t suppose she’ll ever be able to return to the UK (and why would she want to) and while she was enduring all that psychological pressure she resolved to write a poem in which she talked about the liberty of birds and how they freely cross frontiers and hoped that one day we humans could be this way too. She left the poem in the ‘Suggestions Box”! 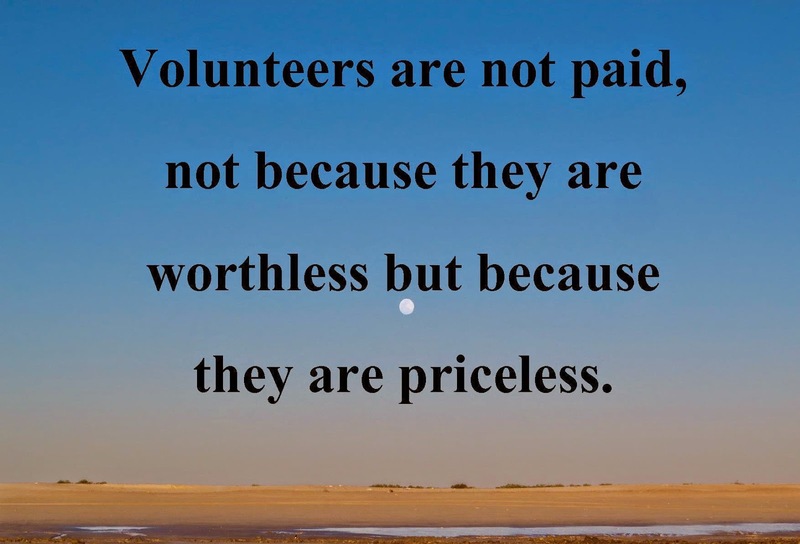 Contrary to what the UKBA may think, volunteers are good people who do nothing but sefllessly contribute to society, science, conservation, humanity... the list is endless. 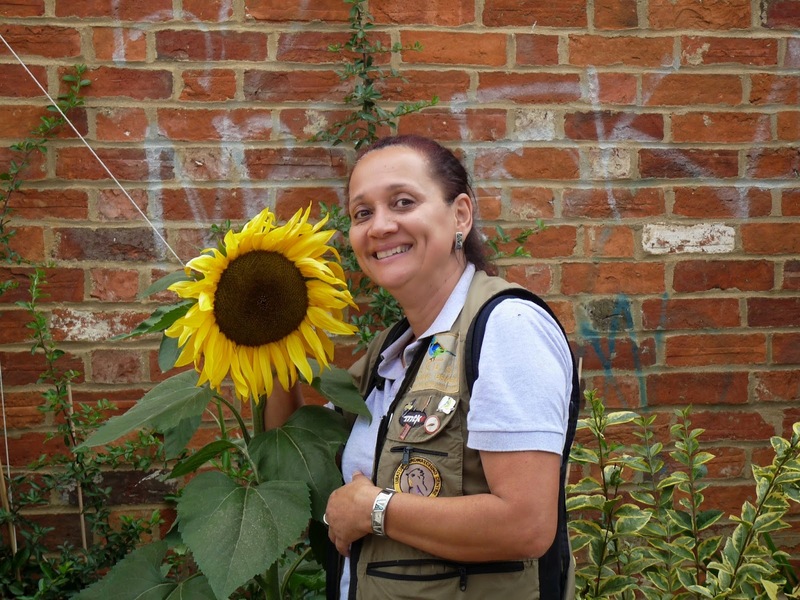 As if this tragic tale is not embarrassing enough, this poor lady had just had a cancer scare which thankfully turned out to be benign, but she had weeks of worry and fear before getting the good news and was so looking forward to her stay here, helping out at the Bird Fair to forget all her woes. I don’t think that she will be rushing to return to our shores, Britain’s loss, and in the meantime we will give unfettered access to goodness knows who from heaven knows where, and we can do nothing about it, except pay for the consequences when it all goes horribly wrong and then to be told we cannot deport convicted criminals as they have a right to family life. To the border control staff I say this. Do your job, but please do it with compassion and try at least to be selective about how you treat people, especially when you know that their only crime is being naïve and above all honest.